If you live in the parish of Crownhill, you are eligible for baptism for yourself or your children. There is plenty of room around our elegant font, so everyone can be close to the service, and good light for photographs if necessary. 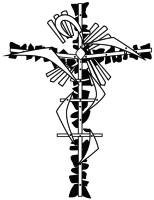 Baptisms take place either during the 10am Sunday Eucharist, sometimes on Sunday afternoons, or at a specially arranged liturgy. We will explain what happens, and can let you have a copy of the words of the service. Adults can, of course, be baptised. This normally follows a period of attendance at Sunday services, and is ideally coupled with confirmation. There is no charge for baptisms, although you are welcome to make a donation to the church's work at the collection at the end of the baptism. 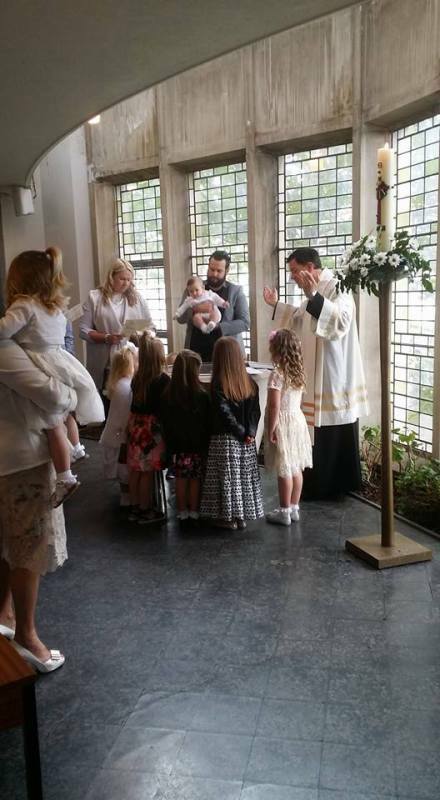 Godparents must be people who have themselves been baptised. Traditionally, a baby boy has two Godfathers and one Godmother, a girl two Godmothers and one Godfather. The parents and Godparents promise to bring the child up in the Christian faith, on the understanding that, when he or she is of age, they will be given the opportunity to come forward and offer themselves for Confirmation. Preparation for Confirmation is led by our Priest and the ceremony performed by one of the Bishops of the Diocese. A letter explaining baptism and a booking form can be downloaded here . You can make an online application by clicking here . If you would like more information, please contact Father Tim (see the Contacts page).